James was born in 1890 and by the time he enlisted was living at 15 Fair Row, Rainhill with his wife Florence and two children Ernest and Arthur. His occupation was listed as a miner. Very little is known about his service record but he was granted 14 days leave to the UK in May 1919 and demobbed in October 1919. At some point after this he appears to have moved to live in Chester as he requested that his Army pension to be sent there. 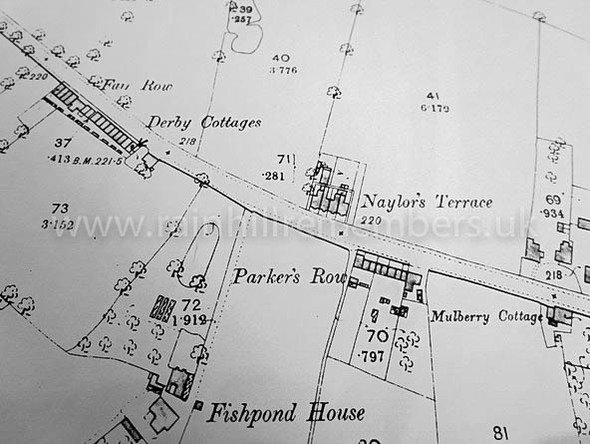 James lived in the cottages known as Fair Row adjoining Derby Cottages about half way between Rainhill Village and The Holt. He would have been a neighbour of Thomas Yates.